One of the greatest tracks used in Formula One racing today, Japan's Suzuka Circuit is a massive test of car and driver ability. In 1987, having hosted various sportscar and F2 races, and having lost out initially to Fuji in the race to host the Japanese Grand Prix, Honda's influence finally prevailed and the Grand Prix had a new Japanese home. The track has also become a favourite with drivers, featuring some of the F1 calendar's most challenging corners. Among the most popular are the high-speed 130R and the famous Spoon Curve. 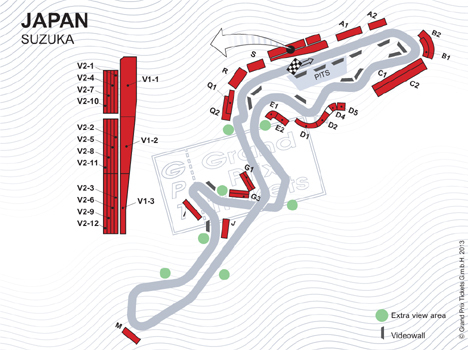 On top of this the circuit's figure-of-eight layout makes it unique in F1 racing.